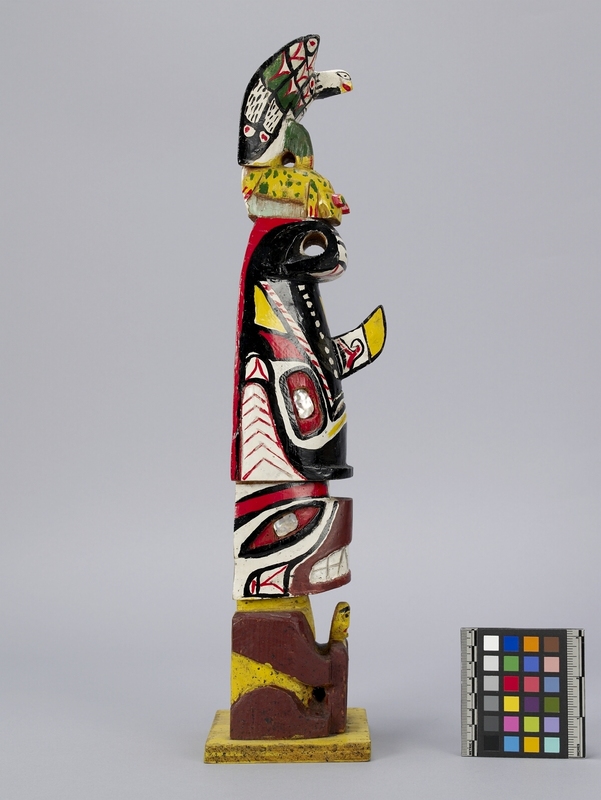 Item number 1432/10 from the MOA: University of British Columbia. 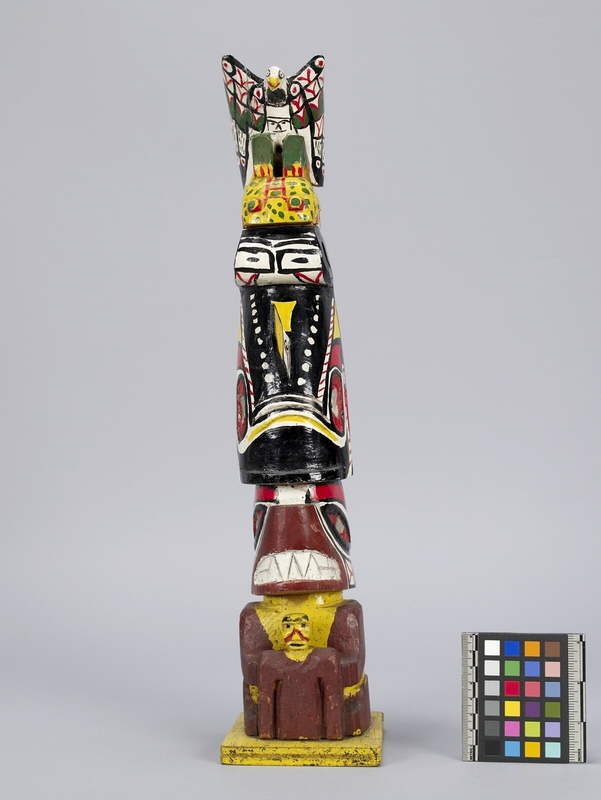 Brightly painted brown, black, white, yellow, red and green model totem pole. 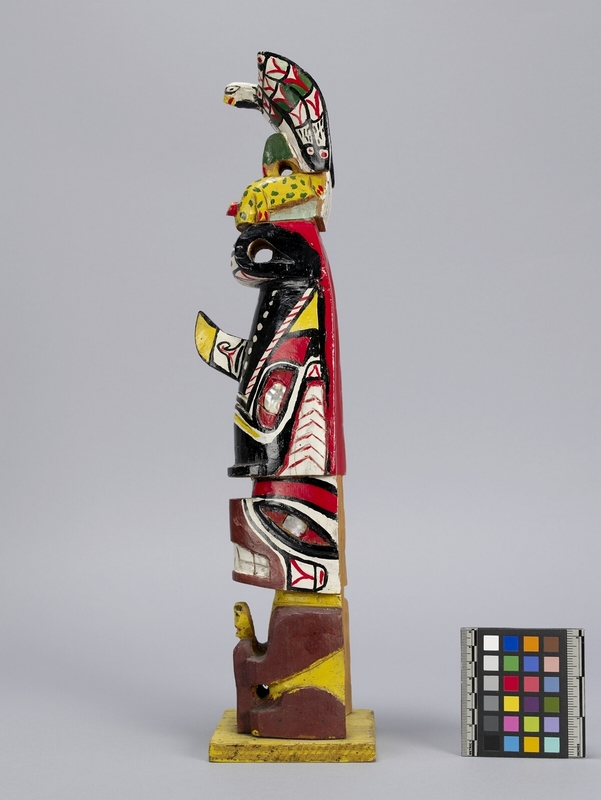 From top to bottom, figures are: an eagle, a frog, a whale, and a bear with a human figure in front of it. The whale and bear both have eyes inlaid with abalone. 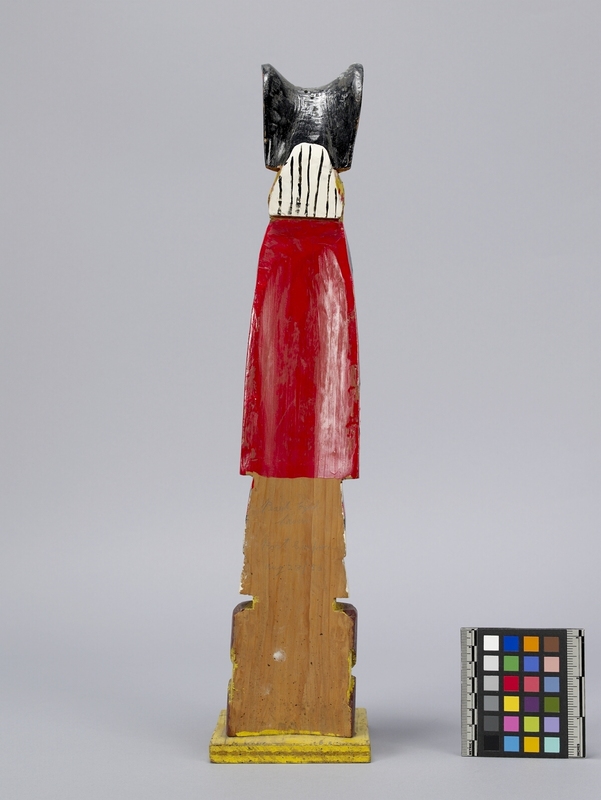 Entire figure is mounted on a yellow, square piece of wood.